Joel reads each story page by page, right in your web browser. "To the Moutains and Back" the first Drippy® Water Cycle story. 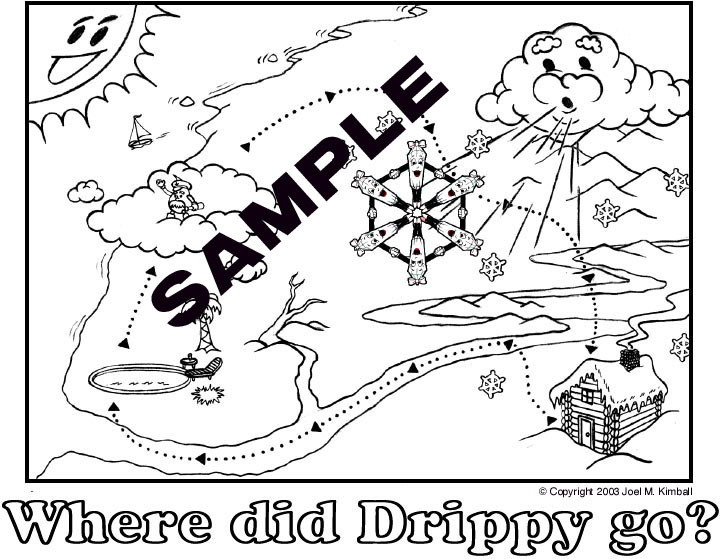 Follow Drippy® on a fun adventure from the ocean all the way to the mountains and back! Get the soft cover book "The Land of Snow and Ice" the second Drippy® Water Cycle story. 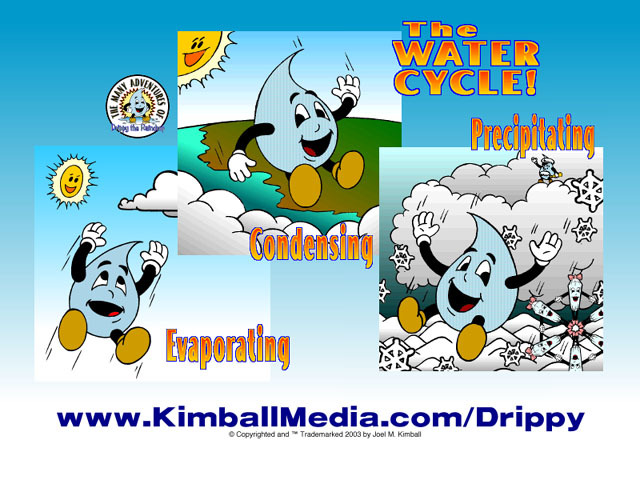 Drippy® and his new friends learn more about the water cycle, by visiting a land of snow and ice! 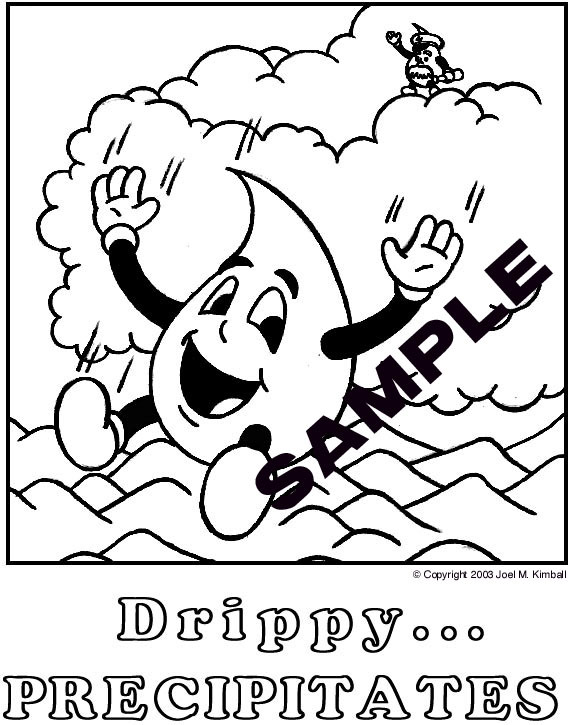 Get the soft cover book Coloring Pages! 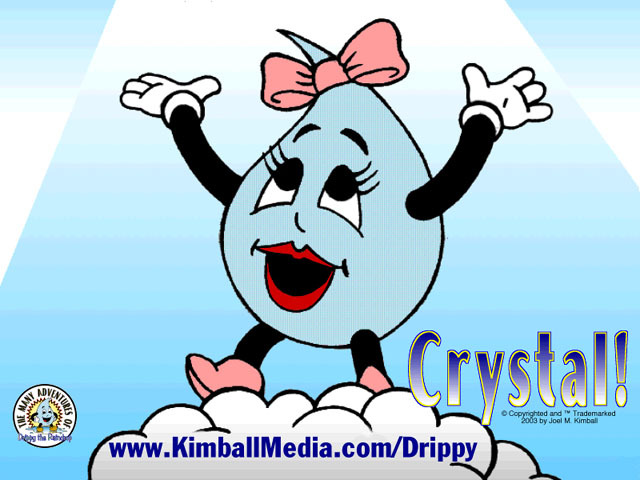 but in COMPLETE form for 1 year at "Drippy's® Water Cycle"! Drippy® Videos: full length, narrated by the author himself. On Line Books: read the stories all the way to the end & hear the author narrate each page - great for beginning readers and younger students. 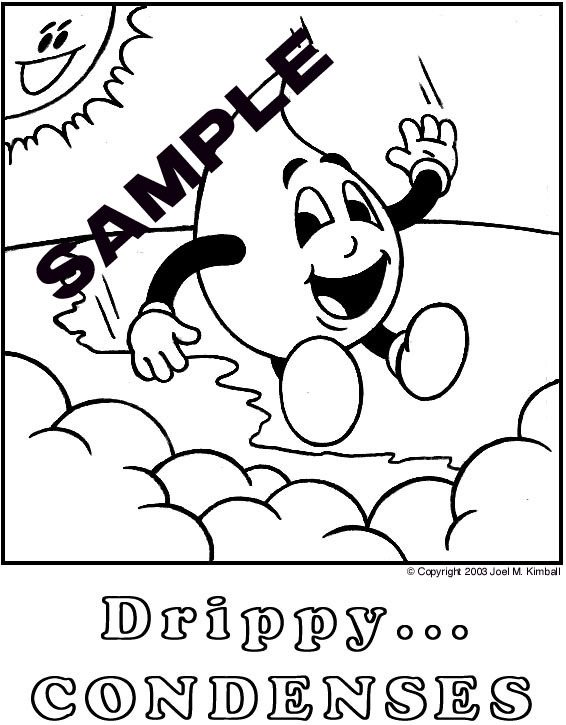 Wall Papers: more Drippy® & friends, Water Cycle maps & other fun scenes. Coloring Pages: even more from the books! Essential for your Water Cycle teaching curriculum. 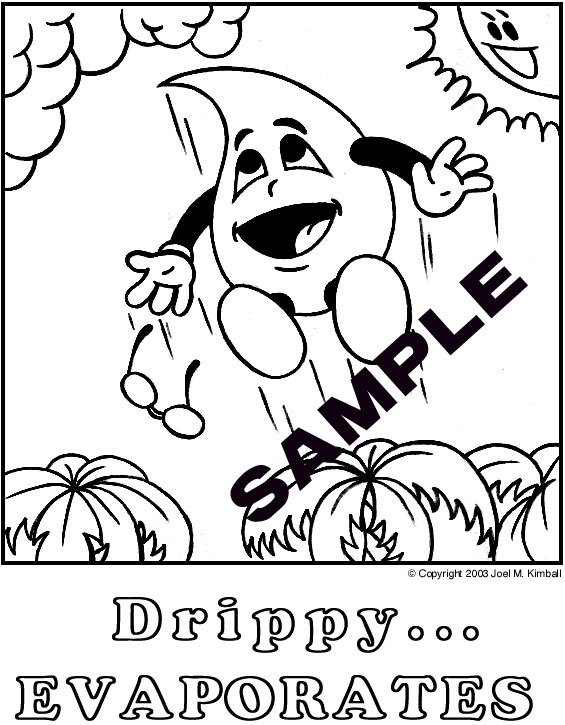 in your Shopping Cart receipt to gain INSTANT access to Drippy's® World. All pages, graphics & text © Copyright 1997-2018 and ® ™ Trademarked Joel Kimball llustrator. All rights reserved.